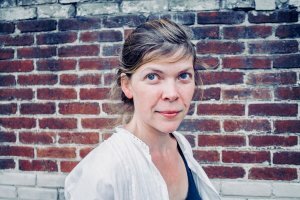 Before joining Fondation Louis Vuitton, Claire Staebler was curator at Palais de Tokyo, Paris from 2004 to 2007, and at PinchukArtCentre, Kiev from 2007 to 2009. In 2006 she was co-curator of the Busan Biennial. Between 2008 and 2009 she cocurated, with Jelena Vesic, the project No More Reality, crowd, performance and reenactment, in Belgrade, Amsterdam and Istanbul. In 2011, she curated the exhibitions La Fabrique sonore, Expérience Pommery#9 with Charles Carcopino (Reims) and Transaction Abstraite, Charles Atlas, Mika Tajima (New Galerie, Paris). She was one of the associate curators of the 2012 Triennale, Intense Proximity (artistic director: Okwui Enwezor). She contributes regularly to several publications specialized in contemporary art.